In recent days, a number of websites have spread 'scientific' claims that African or Middle Eastern blood is not compatible with 'European blood'. This is false. InfoMigrants debunks the claim. At the end of February, the far-right website Fdesouche published an article entitled "Germany: Numerous migrants don’t tolerate European blood". According to the article, migrants and refugees from Africa and the Middle East have demonstrated a "reaction of rejection with serious consequences for their health" after receiving blood transfusions in Europe. The article said that this incompatibility was the subject of a German scientific report linked to a project seeking potential blood and stem cell donors among refugees living in the North Rhine-Westphalia region. The article prompted a large number of racist and xenophobic comments on social media, particularly Twitter. The claim that migrants do not tolerate "European blood" is false. As Thierry de Revel, a hematologist at the Hartmann clinic in the western Parisian suburb of Neuilly-sur-Seine, told InfoMigrants: "Compatibility is based on blood group, not ethnic origin. Everyone on the planet is therefore compatible with one another with respect to their blood groups." The French national blood agency (EFS) confirmed de Revel’s statement. "For a one-off transfusion, after a hemorrhage for example, the universal type O negative can be accepted by the recipient, regardless of his or her ethnicity." "Further compatibility is only needed for more regular transfusions. This is the case for, for example, those who suffer from sickle cell anemia and who need transfusions every three weeks. And so the blood needs to be as compatible as possible, more than just A, B, or O compatibility. In those cases, the person is more likely to be compatible with blood that is of similar origin to their own," EFS said. In very few cases, the blood of some people of West African origin may contain "rare" blood characteristics. For example, they may carry specific antigens that protect them from malaria. These people, which account for only a very small part of the population, need transfusions with identical blood characteristics. These extremely rare cases prompted the Red Cross in Germany’s North Rhine-Westphalia state to launch a project to find potential blood and stem cell donors among the migrants and refugees living there. 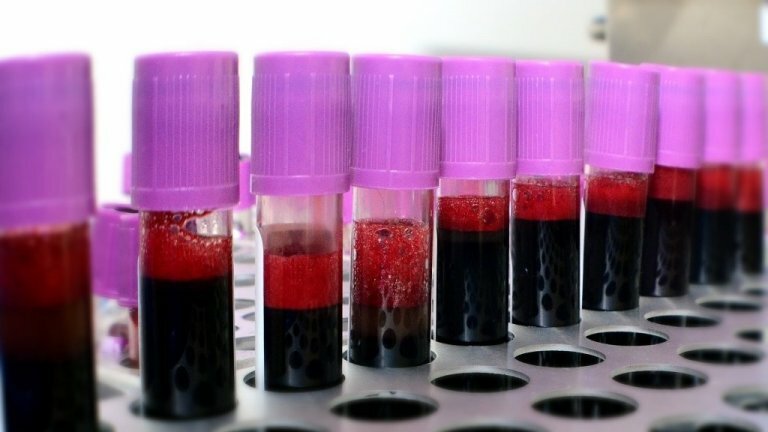 The project, which is financed by the European Regional Development Fund (ERDF), encourages people with African or Middle Eastern origins to become donors in a bid to widen the region’s blood bank.